The South-West's Premier Charter Bus Company. Read below to find out more about our history. Ebmeyer Charter is one of the leading providers of charter services in the Western United States and operates throughout more than 120 cities in 10 states. Services include motorcoach charters, tours and sightseeing, and commuter transportation. 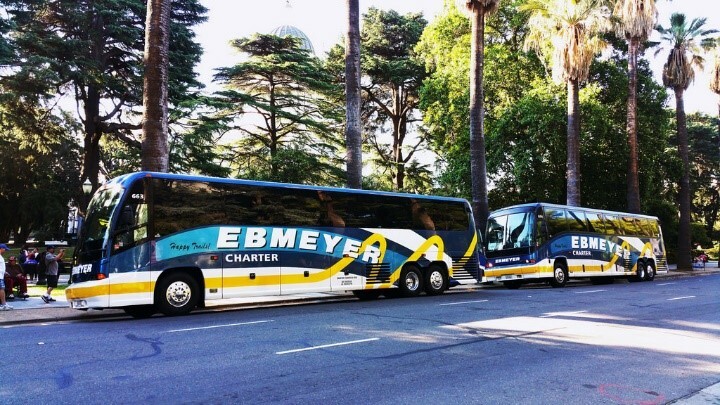 Ebmeyer Charter was formed in 1980 by Hugh Ebmeyer, who began a bustling fleet of 2 buses. 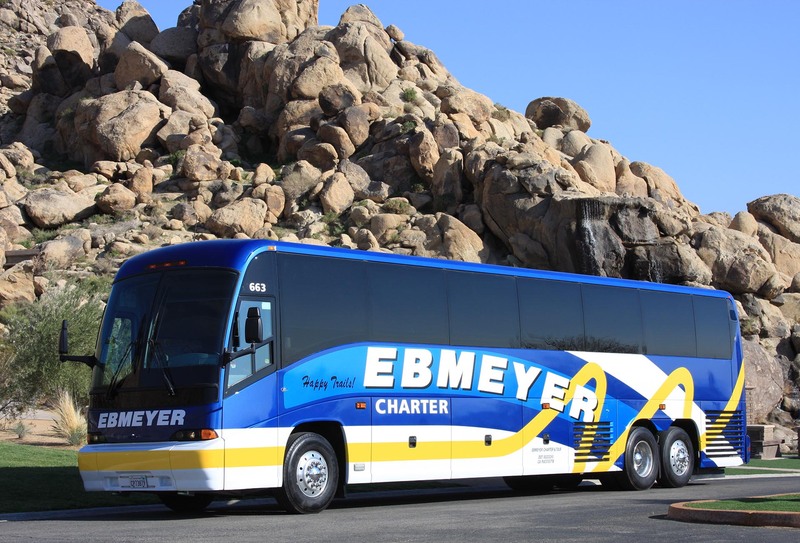 Today, Ebmeyer Charter is one of the leaders in the motorcoach transportation industry. In its continued commitment to do business more efficiently, Ebmeyer Charter customers will now be able to travel with the company in a whole new way - on the internet highway. By logging onto EbmeyerCharter.com travelers can get information from fun family trips to helpful tips on how to plan a business meeting. The Ebmeyer Charter website also has new features that allow travelers to reserve sightseeing tours and plan their ground transportation needs online. 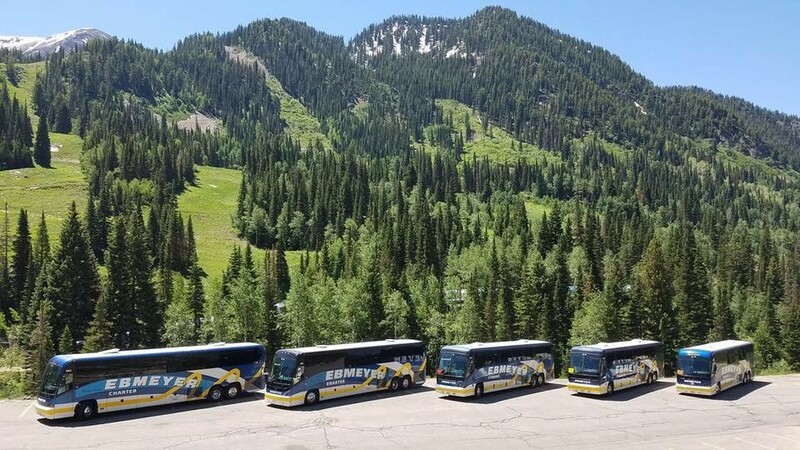 As the industry leader in distribution, safety, maintenance and customer satisfaction Ebmeyer Charter has a successful strategy that meets passengers diverse ground transportation needs. Ebmeyer Charter has been the driving force in the national trend in motorcoach leisure and business travel to ultimately provide a one-stop-shop service to customers, vendors and strategic partners.